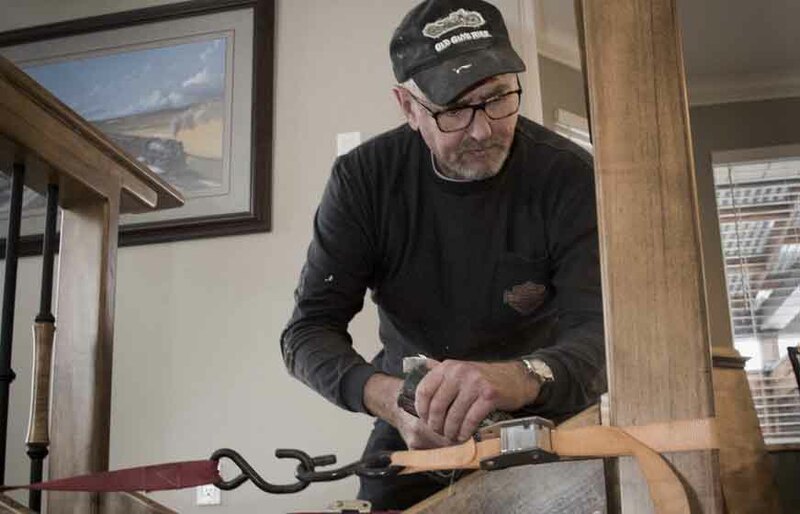 Kimwood is a leader in construction consultation and specialized carpentry. If you have a home project you would like to get started on, but can't quite realize your desired result yet, Kimwood can help. 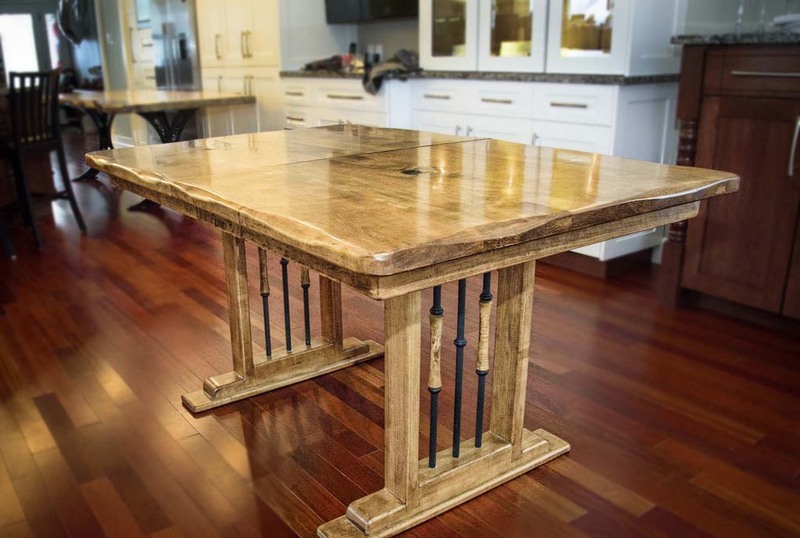 Whether it's a kitchen in need of a facelift, or a dining-room in need of a breathtaking, live-edge table, we'll be with you every step of the way. 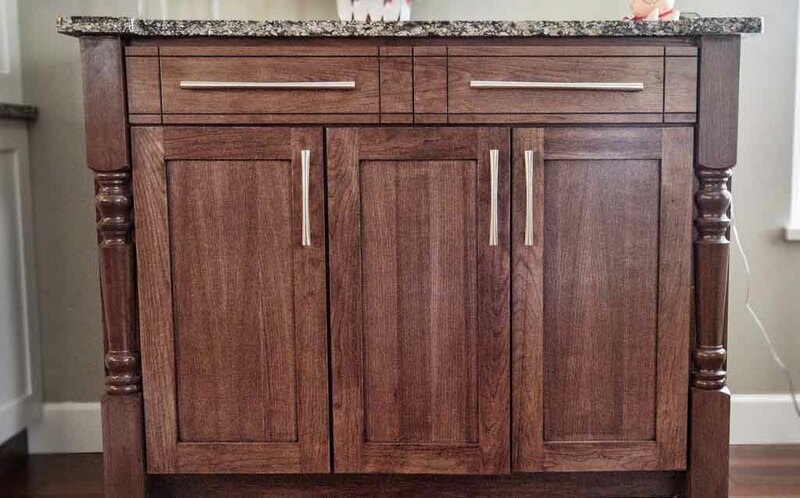 By providing experienced consultation and unique, custom products, Kimwood can assist in making your home feel like the one you've always wanted. 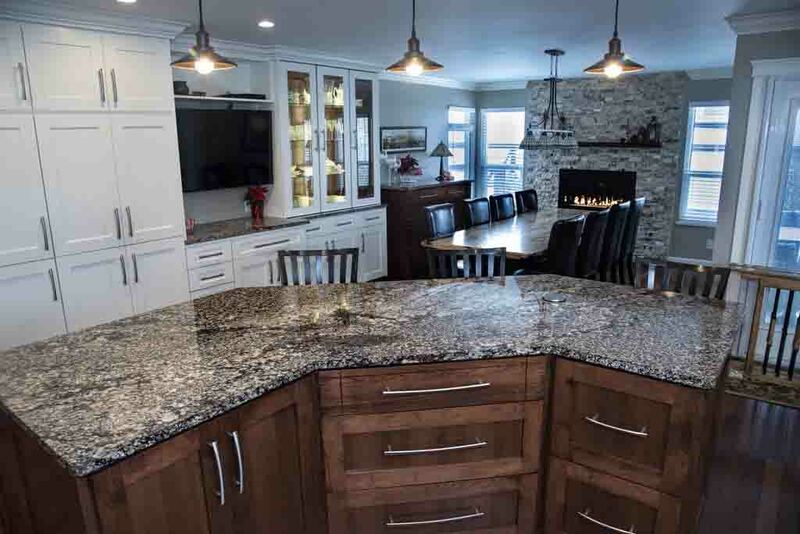 With decades of experience and expertise, Kimwood brings a level of quality unmatched to construction and renovations inside the home - and out. A home has to feel like home, and that's why proper design is imperative. Over the years, Kimwood has developed a keen eye for arrangement and spacial planning. You're home alterations are in safe hands. Coordination with contractors can be stressful. Kimwood is a small, specialized team, and we recognize the importance of communication and adhering the goals of our customers. One of our greatest strengths is communication with clients to assist them in the design and cost management of the project. During the past 20 years, we have established strong business relationships with suppliers and subcontractors who provide the necessary components in our construction. Contact us now and let's talk! Our company offers a wide range of services, from construction and renovation consultations to custom-made specialy furniture. The company is specialized in unique home-renovations and space-specific, millwork designed cabinets and furniture. 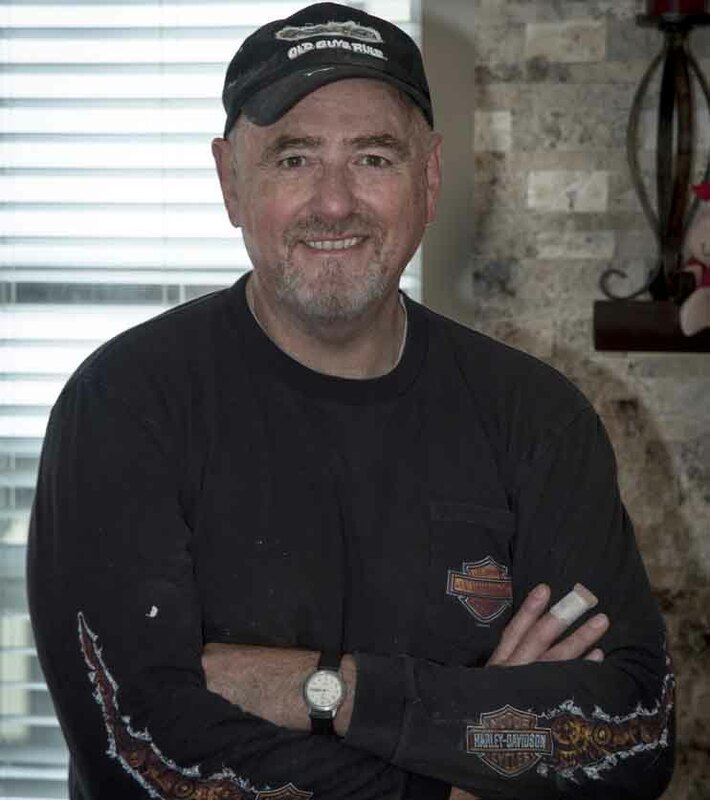 During the past 40 years, the team has designed, built and installed countless cabinets, and has custom made many types of furniture in customer's homes. Our experience evolved from many years of new home construction to specialization in unique furniture pieces. Trust and communication have been the keystones to Kimwood's client relationships. Many clients have little understanding of costs and appropriate use of products in home renovation or construction projects. Acting as a ‘middle-man’ between the home owner and the contractors ensures the client is served properly, and that a trusted, independent advisor is only an arm's length away throughout the construction. Alongside consultations, Kimwood offers a combination of services in which we install custom-made, specialty products inside your home. If you're thinking of adding some memorable additions to your interior, contact us for information on how we can help. 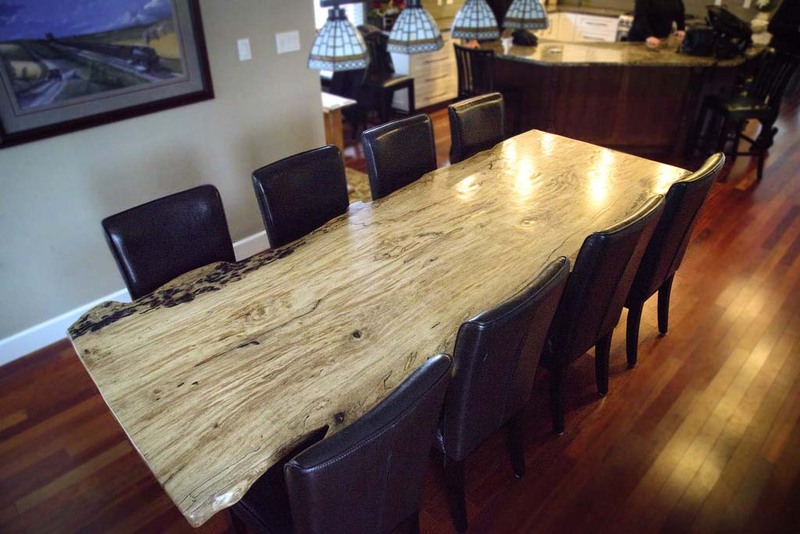 This beautiful maple slab table was expertly crafted by Kim himself, and is now for sale! Contact us now for pricing. Extremely unique: Kim Wood's intricate design and attention to detail is hard to miss when seeing this Live Edge Table. The table is available now and you can contact us now for more information and pricing. If you have any questions or inquiries in regards to our products and services, don't hesitate to contact us - we'd love to hear from you. 2017 is looking to be busy! Happy New Year from Kimwood. Putting the finishing touches on a new, live-edge dining room table. Beautiful.